Sweet Potato and Apple Soup. Photo Credit Emily Wiley. 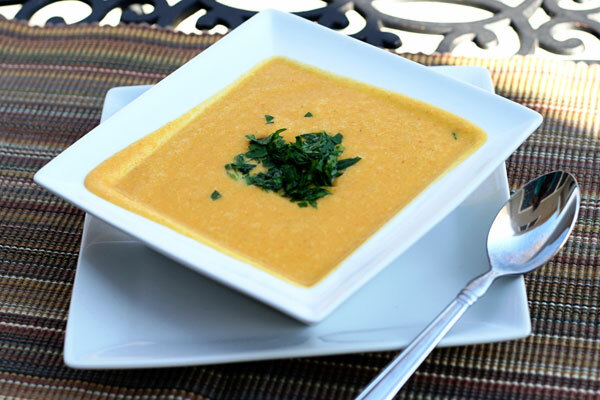 The list of ingredients is short: sweet potatoes and tart apples; onion, celery, and carrot; chicken broth and cream; lemon, cinnamon, and parsley. And it just takes a bit of roasting, sautéeing, blending, and stirring. Garnish, serve hot, and watch your guests enjoy! Are you serving a soup on Thanksgiving Day?